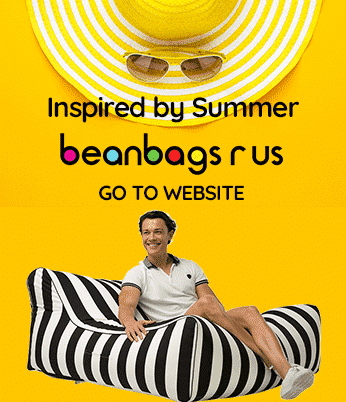 Bean Bags R Us NewsBean Bag ChairsAre Bean Bag Couches Right For Your Home? Are Bean Bag Couches Right For Your Home? When people hear the term bean bag, they often think of the brightly coloured chairs commonly found in dorms or kids rooms but did you know they come in many different sizes and styles? The hottest styles include oversize and couch-like designs. These types of products are quickly growing in popularity around the world as more people replace their large and old sofas with them. But is this piece of furniture right for your home? The first question to ask when considering the purchase of a bean bag couch is, in what type of condition is your current sofa. For many, the answer to this is that it is old, sagging, and possibly a bit tore up from years of use. A sagging sofa often means it is uncomfortable to sit on and can be incredibly painful to nap on. It may even lead to increased back pain as it lacks adequate support. Bean bag couches do not have this problem as they are full of dense and durable pellets that resist crushing, which means they stay comfortable and supportive for years. If ever the filling does wear out, it can be easily replaced, which is a quick and inexpensive fix when compared to trying to replace or repair sagging spots on an old sofa. The filling can even be adjusted to create a firmer or softer couch as needed. For many, this is a big selling point, as their comfort needs may change over time. Support requirements may include requiring a softer or firmer place to sit. A traditional sofa is somewhat inflexible in that it comes in only one or two configurations, and can be difficult to move around in a room. This lack of flexibility creates a lot of issues with choosing a good layout for the space. Some traditional sofas come in separate pieces making them easy to relocate, but these are often large pieces of furniture that take up a great deal of space. In some cases, this leaves very little room for walking around. A bean bag couch is still large but is not so large that it overwhelms a room. Many of these products are still relatively compact, so it is possible to fit one into nearly any size room and still be able to walk around. Smaller recliner style couches are another great option if space is limited. These are similar to bulky recliner chairs or loungers, but without the weight and old-fashion style found in many homes. A lounge-style can also be perfect for those who do not want the commitment of a full-size living room sofa. They can place a few of these lounges together to create a row of comfortable seating. Another key advantage to these lounges is that they are easier to move around than a traditional sofa because they contain lightweight pellets. Because they are so lightweight, one person can move it instead of needing several people. Being able to lift or move the bean bag couch alone makes it much easier to move furniture around a room without having to call friends over to help. Traditional sofas are not always stylish, which is where bean bag couches shine. The beanbag couches come in a broad range of colours, making it easy to find the perfect one. The last question you should ask when considering this type of comfortable indoor furniture is how important are the care and upkeep. Some may be willing to put a lot of time and effort into it while others may want something very easy to keep clean. Specialty fabrics, such as leather or velour, require careful cleaning so that the material does not get ruined. With this type of materials, you may need a special fabric cleaner and being vigilant about stains, spills, or even heavy wear and tear. Bean bags often have the advantage because they are designed to be easy to clean. Many of the available fabrics also resist stains or may offer a water-resistant material that makes them ideal for outdoor use as well. Durable upholstery fabrics like these are a snap to clean because they can either be machine or hand washed. Some of them can also be cleaned by wiping them down with a damp cloth. If being able to keep it clean without a lot of work is a big factor for you, then a soft and durable bean bag couch may be the right piece of stylish furniture for your home. Bean Bag Couch Versus Sofa: Which One Should I Get? This entry was posted in Bean Bag Chairs.